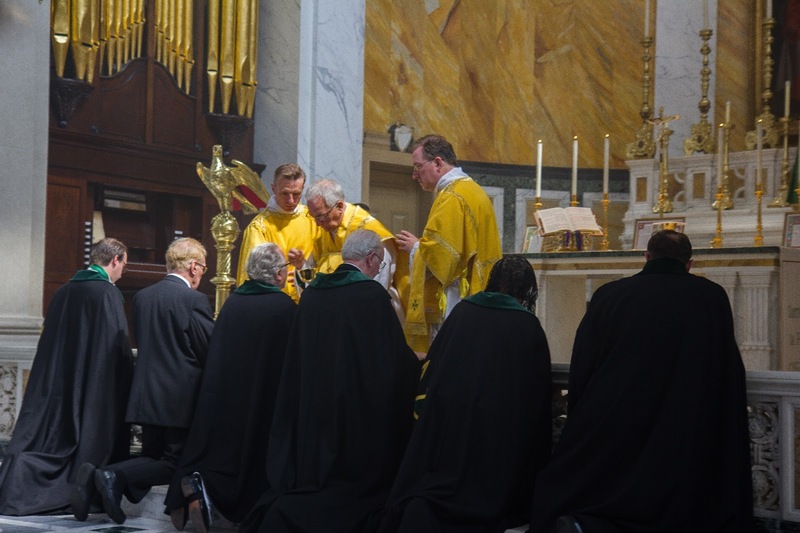 Last week members of the Grand Priory of Great Britain met at St Patrick's Church in Soho Square, London to invest new members. The Investiture was preceded by High Mass with one of our Chaplains, Fr Aldo Tapparo, as celebrant, Fr Simon Henry, Chaplain General, as deacon and our Chancellor, Fr Mark Lawler, as sub-deacon. 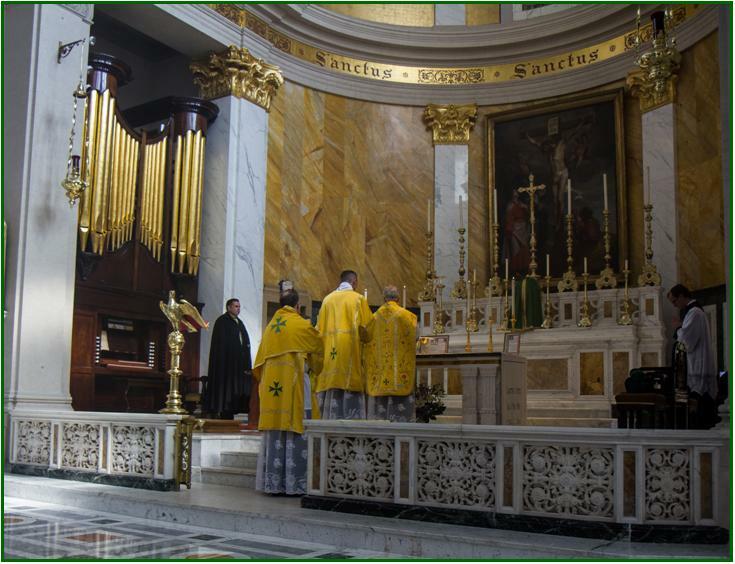 The setting of the recently restored St Patrick's was indeed most splendid and enhanced by the beautiful music from Cantus Magnus: "Messe de Nostre Dame" by Machaut (the first known complete Mass setting by a single composer - first written for Rheims Cathedral around 1350, a French setting in recognition of our guest of honour, HRH Prince Charles-Philippe d'Orléans, Duc d'Anjou, Grand Master Emeritus) and "O Sacrum Convivium" by Messiaen. 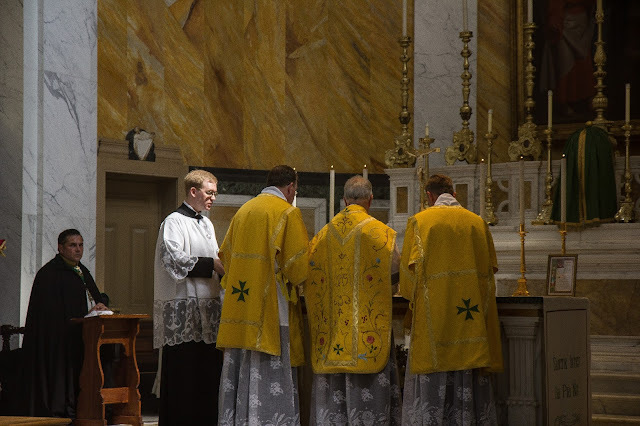 The medieval chant of the Machaut Mass setting was particularly evocative and moving. 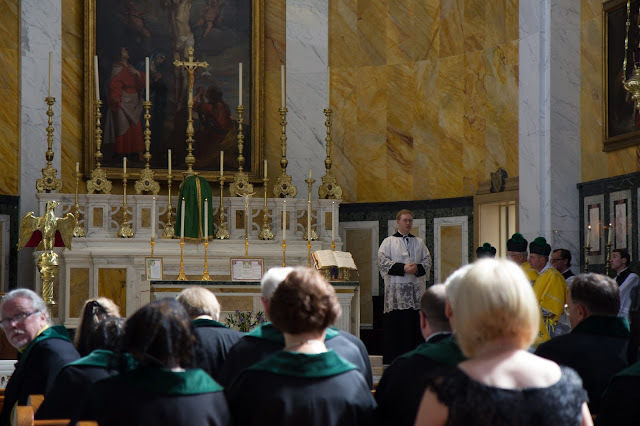 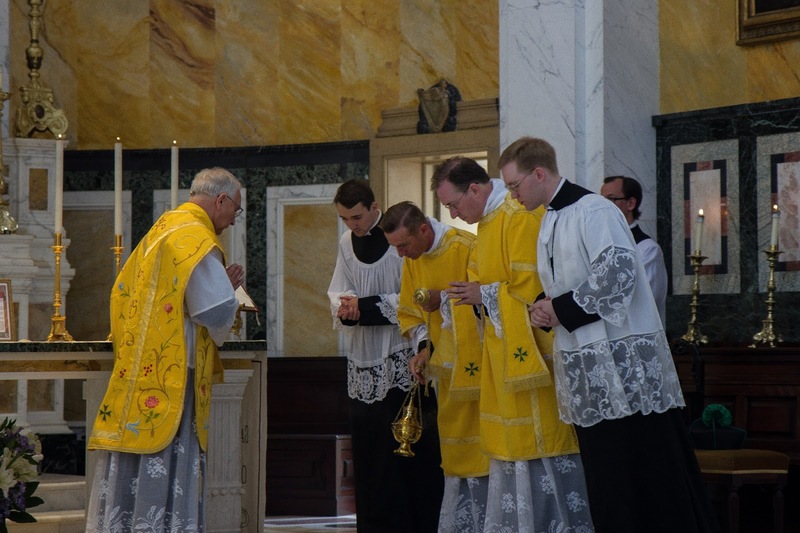 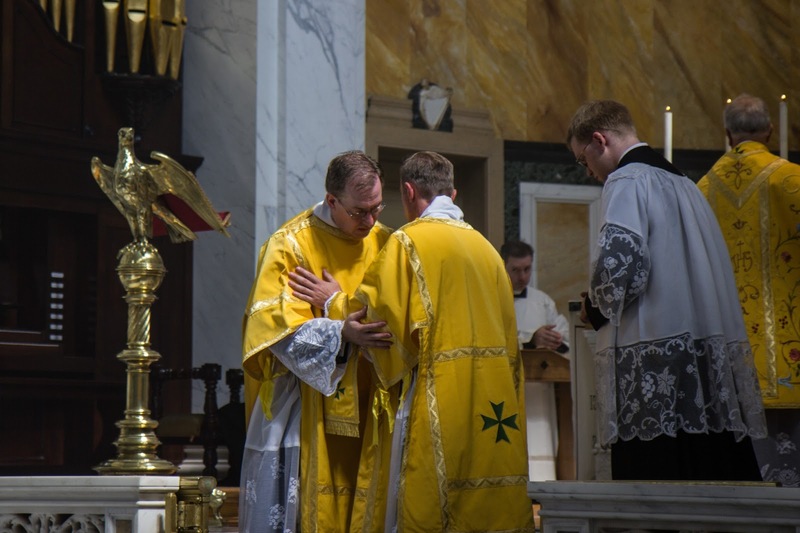 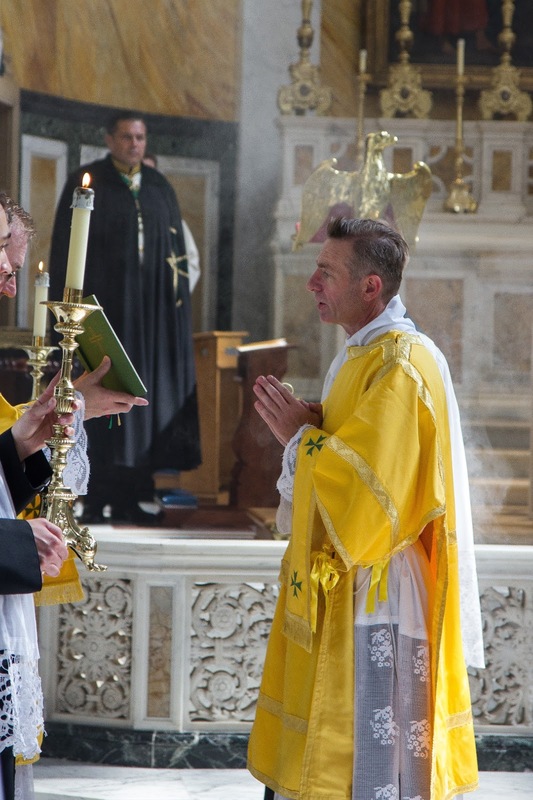 Thanks are also due to Juventutem London, who very kindly organised the servers for Mass. 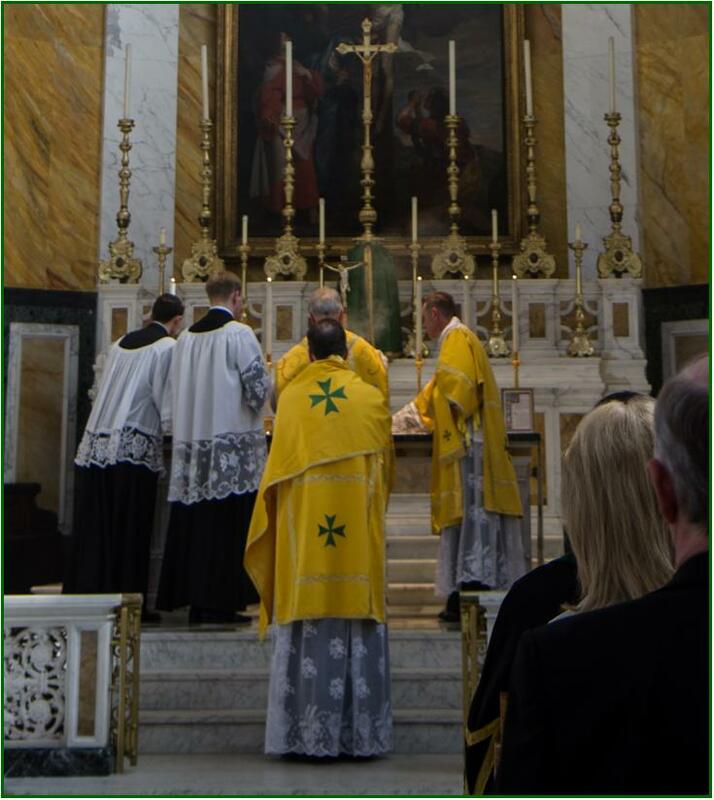 Particular thanks to Fr Alexander Sherbrooke, Parish Priest of St Patrick's, for his very warm and helpful welcome. 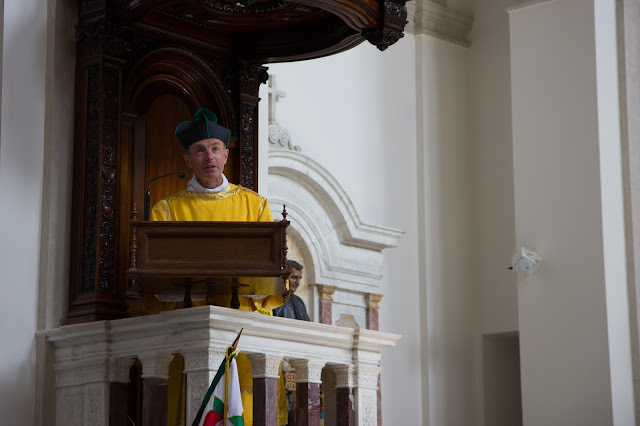 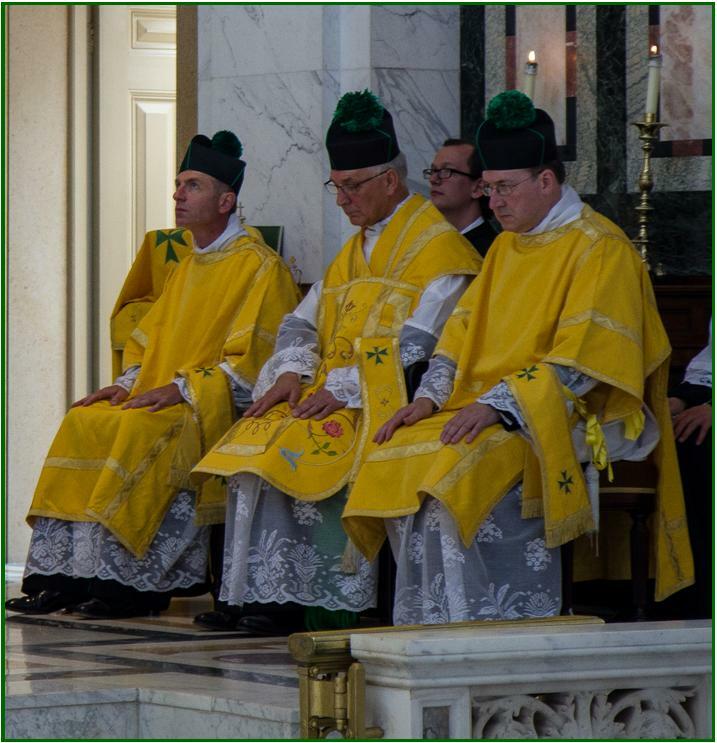 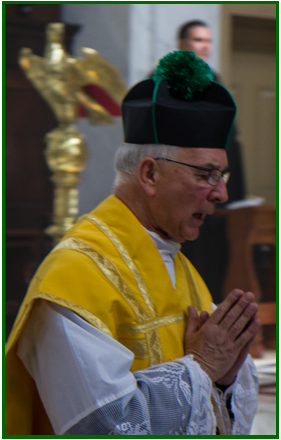 A selection of photographs from the Mass.